Dr. Steinberg did her undergraduate work at the University of California, Riverside. She received her PhD in Microbiology from the State University of New York, Stony Brook in 1976, working on bacterial viruses. She then did a postdoctoral fellowship at SUNY Stony Brook, studying tumor viruses. After two years at Columbia University as a Senior Research Associate, she joined the Department of Otolaryngology at Long Island Jewish Medical Center where she began her studies of human papillomaviruses and their role in diseases of the head and neck, including recurrent respiratory papillomatosis. Those studies have been supported by grants from the National Institutes of Health (NIH) since 1983. More recently, she has also been studying possible inhibitors of cancer metastasis. She is the author or co-author of 97 peer-reviewed publications and 25 book chapters. 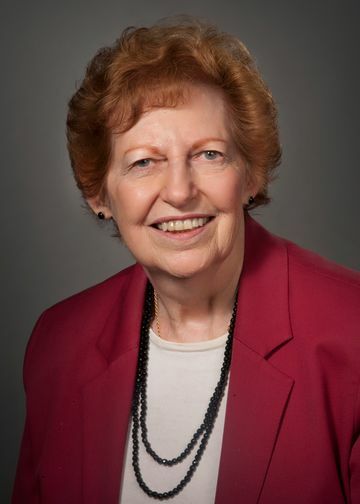 Her research has been recognized by a number of awards, including the Elliot Osserman Award from the Israel Cancer Research Fund, the Karl Storz Award from the American Society of Pediatric Otolaryngology, the Israel Cancer Research Fund Award for Women of Excellence, and the Lifetime Achievement Award from the International Papillomavirus Society. Human papillomaviruses (HPVs) are a large family of viruses that cause a wide range of benign and malignant tumors ranging from common skin warts and genital warts to cervical cancer and some cancers in the oral cavity. Nearly everyone is infected by HPVs, but most infections are latent (silent), with no evidence of disease. Dr. Steinberg’s research in the laboratory is primarily focused on diseases of the airway caused by HPVs. One of the diseases she studies is recurrent respiratory papillomatosis (RRP), a rare disease that affects both children and adults. The papillomas in RRP patients are benign, but the disease causes significant suffering and can even be fatal because the papillomas can block the airway. Surgical removal is the only approved treatment, but the papillomas often recur rapidly. In severe cases, surgery to clear the airway may be required as often as once a month. The papillomas are primarily located in the larynx, but approximately 17% of patients will have tracheal disease and 5% will have papillomas of the lung. There is no effective treatment for lung involvement, and the lung papillomas frequently convert to cancer. Improved treatments, based on better knowledge of the biology of the disease, are badly needed. HPVs also cause some head and neck cancers, especially tonsil cancers. Recent studies show that the cancers caused by HPVs are becoming much more common. Fortunately, those cancers usually respond well to treatment. Most of the research Dr. Steinberg does on RRP will be directly applicable to her studies of HPV-induced head and cancers as well. Promising avenues of research Dr. Steinberg and her team are following in their lab include the interactions between HPV and its target cells, the role of the immune system in controlling HPV-induced diseases, activation of latent HPV infection, a clinical trial of Celebrex as a treatment for RRP, studies on HPV-induced head and neck cancer, and studies of molecular mechanisms regulating metastasis of carcinomas and sarcomas. What are the cellular alterations that result in growth of papilloma cells? Dr. Steinberg and her team have found that respiratory papilloma tissues and cultured papilloma cells express high levels of several membrane-associated proteins, including the EGF receptor (EGFR), and show constitutive activation of the EGFR. Papilloma cells also have alterations in several signaling pathways linked to the EGFR. These include activation of PI 3-kinase, increased expression and activation of the small GTPase Rac1, activation of Pak1 and Pak2, activation of p50 NF-κB, and activation of p38 MAP kinase. They have recently discovered that Rac1 is overexpressed and constitutively active in clinically normal airway epithelium of RRP patients, and acts as a susceptibility factor for RRP. The Rac1 signal transduction cascade results in constitutive expression of the enzyme COX-2 and its product PGE2. Inhibition of COX-2 in papilloma cells slows proliferation, increases spontaneous apoptosis, and suppresses HPV transcription. We are currently asking how PGE2 contributes to constitutive activation of the signaling intermediates through a positive feedback loop, and which of the signaling intermediates enhances HPV expression. Is celecoxib (Celebrex) an effective treatment for RRP? Celecoxib is a COX-2 inhibitor, usually used to treat arthritis. Based on lab studies and reports in the literature showing that this potent drug was effective against certain cancers, Dr. Steinberg and her team conducted a preliminary clinical treatment study on three patients with severe RRP. The results were striking. The papillomas stopped recurring during the one year of treatment, and two of the patients have remained free of disease for several years. Dr. Steinberg is now conducting a large clinical trial testing the benefits of celecoxib as an adjunct to surgery. The study is being conducted in collaboration with Allan Abramson, MD, Mark Shikowitz, MD, and Lee Smith MD at Long Island Jewish Medical Center; and physicians at Eastern Virginia Medical Center, Norfolk; the University of Iowa; the University of California, San Francisco; Vanderbilt University; The University of Alabama at Birmingham; and Sanford Medical Center, Sioux Falls, ND. A link to the ongoing clinical trial can be found here. Why don’t patients with RRP generate an effective immune response that prevents recurrent disease? Dr. Steinberg and her team are collaborating with Vincent Bonagura, MD, to solve this question, which has implications far beyond respiratory papillomatosis. Latent HPV infections are present in the airway, skin, and genital tract of many people and may be a source of subsequent skin warts, genital warts, and cervical and airway cancers. They have found that patients with RRP have a bias toward a TH2-like response to HPV proteins, have elevated levels of T-regulatory cells in the papillomas, and show altered expression of a number of innate and adaptive immune response genes. These altered responses may be genetic, at least in part. Patients have a skewed distribution of HLA Class II alleles, and may lack some activating Kir gene alleles. They also express higher levels of COX-2 in their airway tissues, which could bias the local immune response toward expression of TH2-like cytokines and chemokines, reduce clearance of active infection, and make the patients more likely to have disease. What is the molecular mechanism for activation of latent HPV infection? Dr. Steinberg’s research had previously shown that HPVs cause latent infections, with extremely low levels of viral expression and no clinical evidence of disease. Activation of latent infection is believed to be the source of recurrent HPV-induced disease, and may be required for all active HPV infection. Her team has recently found that induction of COX-2 and production of PGE2 is required for activation of latency. Studies are now in progress to determine the viral sequences and signaling pathways that mediate this effect. Does COX-2 suppression affect metastasis of sarcomas? Like many cancers, papilloma tissues are highly vascularized and express VEGF. The VEGF may be induced by PGE2 expressed in the papillomas. Dr. Steinberg and her team are collaborating with Samuel Soffer, MD, who is studying angiogenesis and potential use of drugs to inhibit angiogenesis and metastasis. Rapamycin, at low doses, suppresses tumor growth without killing the tumor cells. Their data suggests it acts by inducing apoptosis of vascular endothelial cells in the tumor, and possibly by inhibiting expression of COX-2 by the sarcoma cells. More recent studies have shown that celecoxib suppresses sarcoma metastasis, but the effect is not COX-2 dependent. Rather, it appears to be mediated by suppression of the beta-catenin pathway. Research: Studies alterations in signal transduction pathways in RRP, and the positive COX-2 feedback loop. Currently investigating the role of the PGE2 receptors in HPV expression and activation of latent infection. Research: Studying the regulation of expression of pro-inflammatory cytokines in HPV-infected cells. Research: Studies novel therapeutic drugs that could be used to block tumor invasion. Research: Manages the laboratory, conducts experiments, and supervises volunteers. 2009 Science Achiever Award, School-Business Partnerships of Long Island, Inc.
Abramson, A.L., Nouri, M., Mullooly V. and Steinberg, B.M. “Latent Human Papillomavirus infection is comparable in the larynx and trachea.” J. Med. Virol. 72:473-477, 2004. Wu, R., Abramson, A.L., Shikowitz, M.J., Dannenberg, A.J., and Steinberg, B.M. “Epidermal Growth Factor-Induced Cyclooxygenase-2 Expression is Mediated through Phosphatidylinositol-3 Kinase, not Mitogen-Activated Protein/Extracellular Signal-Regulated Kinase Kinase, in Recurrent Respiratory Papillomas.” Clinical Cancer Research, 11: 6155-6161, 2005. Devoti, J.A., Rosenthal, D.W., Wu, R., Abramson, A.L., Steinberg, B.M., Bonagura, V.R. “Immune Dysregulation and Tumor-Associated Gene Changes in Recurrent Respiratory Papillomatosis: A Paired Microarray Analysis.” Mol Med. 14: 608-617, 2008. PMCID: PMC2442987. Wu, R., Abramson, A.L., Symons, M.H., Steinberg, B.M. “Pak1 and Pak2 are activated in recurrent respiratory papillomas, contributing to one pathway of Rac1-mediated COX-2 expression.” Int Jour Cancer 127:2230-37, PMCID: PCM2932774. Lucs, A.V., Wu, R., Mullooly, V., Abramson, A.L., Steinberg, B.M.. “Constitutive Overexpression of the Oncogene Rac1 in the Airway of Recurrent Respiratory Papillomatosis Patients.” Mol Med18:244-49, Epub 2011, Nov 18. PMID: 22113496. PMCID: PMC3324949. Hatam, L.J., DeVoti, J.A., Rosenthal, D.W., Lam, F. Abramson, A.L., Steinberg, B.M., Bonagura, V.R. “Immune Suppression in Premalignant Respiratory Papillomas: Enriched Functional CD4+Foxp3+ Regulatory T-cells And PD-1/PD-L1/L2 Expression.” Clinical Cancer Research18(7):1925-35, 2012. Epub 2012 Feb 9.PMID: 22322668. PCMID: PMC3319851. Barlow, M., Edelman, M., Glick R.D., Steinberg, B.M., Soffer, S.Z. “Celecoxib Inhibits Invasion and Metastasis via a COX-2 Independent Mechanism in an in vitro Model of Ewing Sarcoma.” Jour Pediatric Surg. 47(6):1223-7, 2012. PubMed PMID:22703797. DeVoti J, Hatam L, Lucs A, Afzal A, Abramson A, Steinberg B, Bonagura V. “Decreased Langerhans cell responses to IL-36γ: altered innate immunity in patients with recurrent respiratory papillomatosis.” Mol Med. 2014 Aug 28;20:372-80. doi: 10.2119/molmed.2014.00098. PubMed PMID: 24950037; PubMed Central PMCID: PMC4153838. Behr CA, Hesketh AJ, Barlow M, Glick RD, Symons M, Steinberg BM, Soffer SZ. “Celecoxib inhibits Ewing sarcoma cell migration via actin modulation.” J Surg Res. 2015 Oct;198(2):424-33. Epub 2015 Apr 2. PubMed PMID: 25934222. Hesketh A, Maloney C, Behr CA, Edelman MC, Glick RD, Al-Abed Y, Symons M, Soffer SZ, Steinberg BM. “The Macrophage Inhibitor CNI-1493 Blocks Metastasis in a Mouse Model of Ewing Sarcoma through Inhibition of Extravasation.” Plos One. In press, 2015.